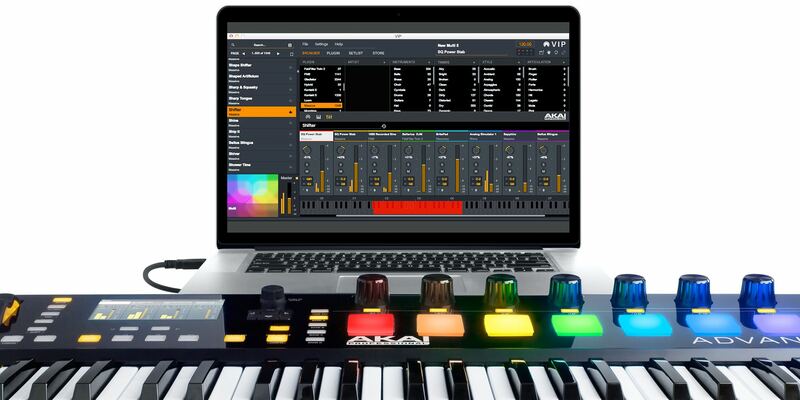 Akai Pro has announced that Advance 49 has started shipping World Wide. It has a suggested US retail of $499.99*. 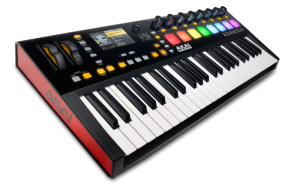 Akai Professional's Advance 49 gives you playability and unrestricted manipulation of any virtual instrument with the interactive, full-color display, complemented by performance-friendly hardware controls. Available in 25-, 49-, and 61-key sizes, the Advance Keyboards fuse the power of software instruments with the live playability of a keyboard workstation. The keyboard surface features an integrated high-resolution full-color 4.3-inch display, providing real-time control and feedback of all virtual instruments. 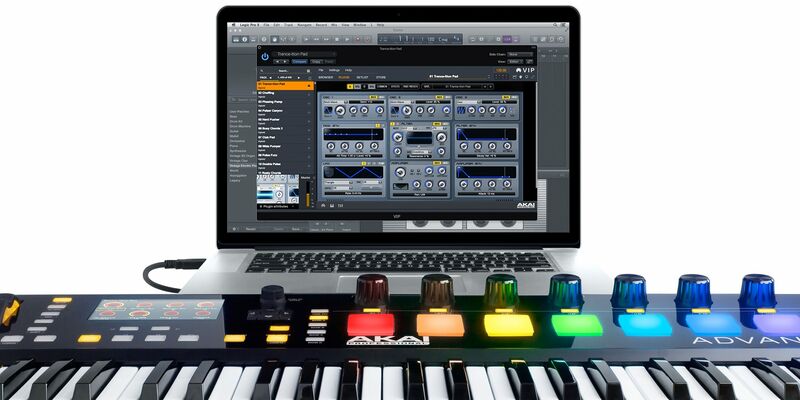 The screen instantly adapts itself to the selected plugin's controls, delivering immediate 1:1 access to the instrument and various editable functions. 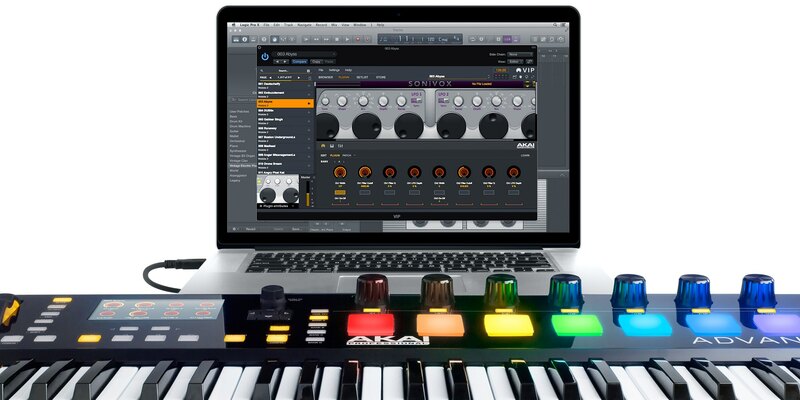 The Advance Keyboards work with any plugin virtual instrument. 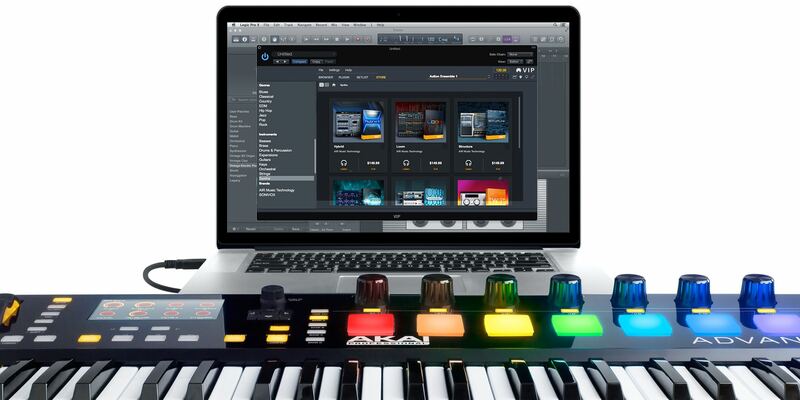 Using the Advance Keyboard's custom-designed Virtual Instrument Player (VIP) software application, your entire instrument plugin library is controlled by one application. 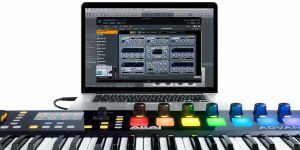 VIP operates as a plugin inside any major digital audio workstation (DAW) or as a stand-alone application on both Mac OS X and Windows operating systems. Dedicated physical controls are included, with RGB backlit, velocity- and pressure-sensitive pads on each keyboard surface. Rubberized pitch and modulation wheels provide simple, direct note manipulation with musically natural action. Easily-gripped, continuously-variable endless knobs let you make adjustments with granular or dramatic effect. 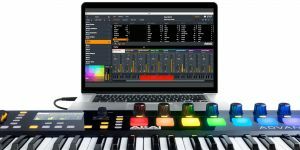 The custom semi-weighted, velocity-sensitive keybed supports aftertouch, making it the ideal keyboard for seasoned live performers and studio producers alike. VIP software users can create setlists that provide on-demand access to your customized instruments for stage performance and studio work. By simply pressing a single button on an Advance Keyboard, you can adapt to song changes as the live performance progresses-without ever reaching for your computer. 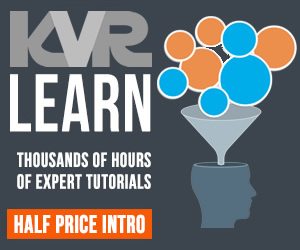 VIP offers for fast instrument and patch browsing, key zone splitting, layering of up to 8 instruments per VIP instance, expansive custom mapping capabilities, and support for any plugin. 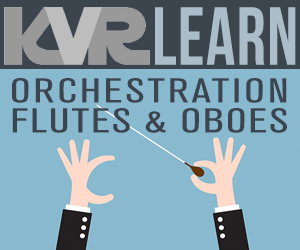 You can run as many instances of the Virtual Instrument Player as your computer allows. 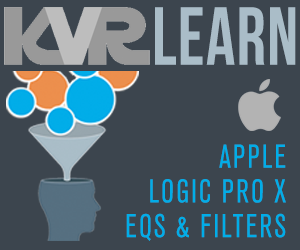 VIP runs as a VSTi, AU, or AAX plugin, allowing you access to virtual instruments in virtually any DAW, such as Pro Tools, Logic Pro X and Ableton Live. Included sounds: Vacuum Pro, Loom, Hybrid 3, Xpand!2, Velvet and Transfuser by AIR Music Tech, Eighty Eight Ensemble by SONiVOX and exclusive artist launch packs from Toolroom Records. VIP can also help you discover a universe of new content right from your keyboard. Akai have teamed up with over 100 developers such as e-instruments, Spitfire Audio and more to bring you hundreds VIs and sounds from a growing list of partners, available for trial and purchase right from the VIP Store. Almost all vendors provide trial versions and Akai will be working with developers to bring a range of exclusive VIP only offers. * Launch / pricing may vary by region please locate your nearest retailer/distributor for information. 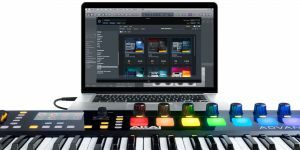 21 Jan 2016M-Audio enhances M-Track II Series with "Songwriter Suite"